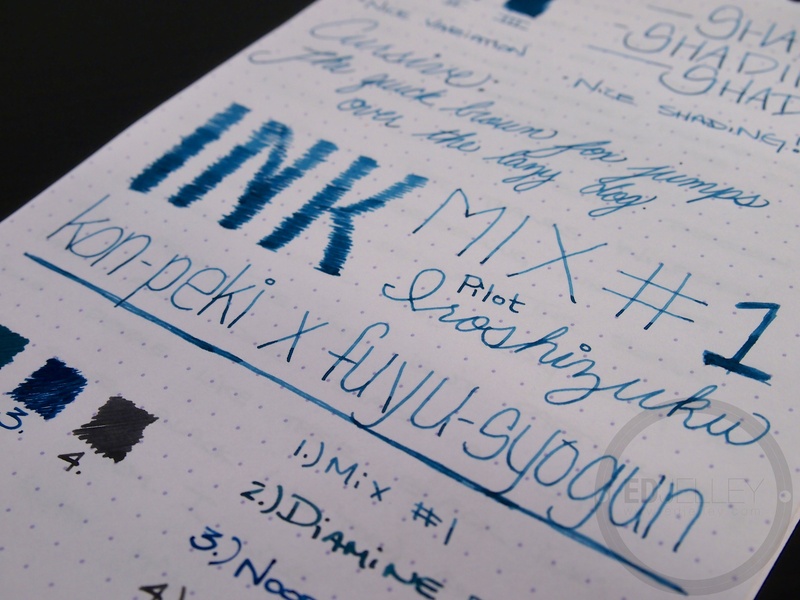 Notes: I was lucky enough to get an ink mixing kit for Christmas, BUT I was not lucky enough to have two or more inks from the same brand that would mix to make a pleasing color. Something tells me that Diamine Oxblood and Diamine Evergreen wouldn’t make the best of browns. 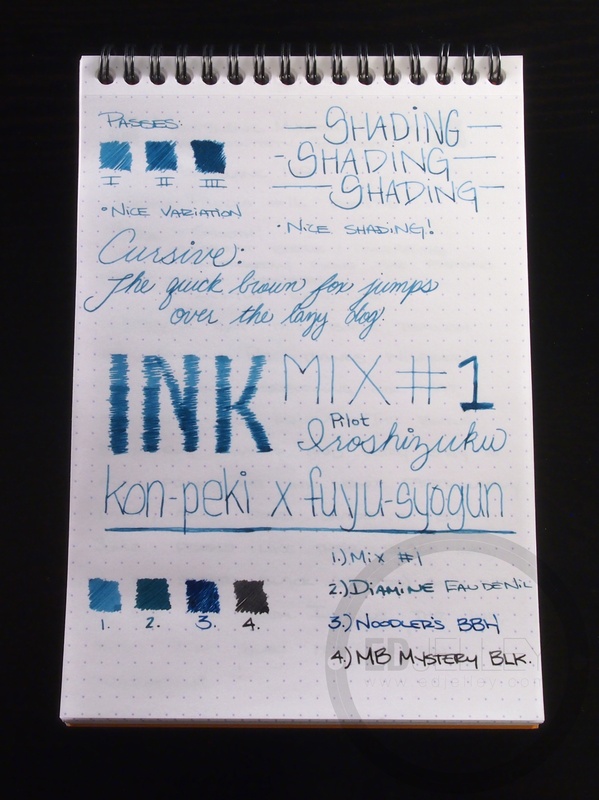 The natural choice was to use my Iroshizuku inks, the idea of a blue-grey sounded good, so I went to work mixing. After some back and forth, I ended up with 3 parts fuyu-syogun and 1 part kon-peki. The result was still very blue, but was muted down a bit. 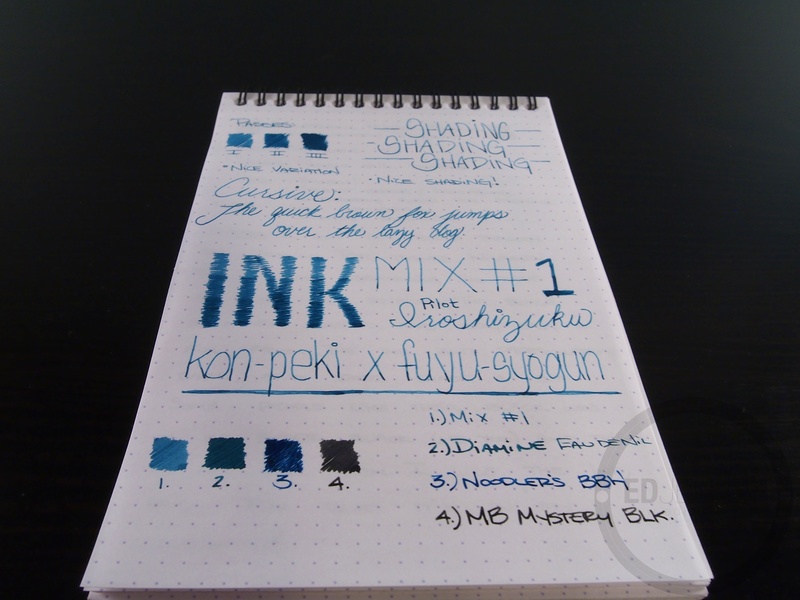 Below, I compared it to Diamine’s Eau de Nil, as that was the closest ink I had to the color that came out of the mix. 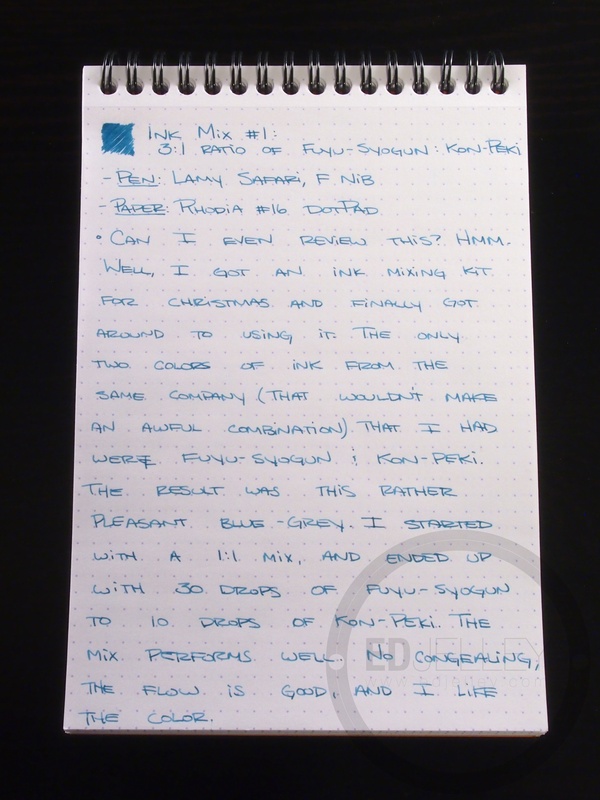 The mix performed well (just like Iroshizuku usually does) and I didn’t have any problems with clogging or clumping or any of the other bad things that tend to come along with mixing inks. I would recommend trying it out, it’s nice to be able to get another color out of two already expensive inks that I had. It’s almost like it’s stretching them further. Disclaimer: If you are going to try mixing inks, please do not try in your vintage Montblanc 149 that your great grandfather gave you, maybe try it out in a Lamy Safari (or better yet a Platinum Preppy) first. Even inks of the same brand can not get along, so beware. Check out my individual reviews of fuyu-syogun(click) and kon-peki(click) so you know what you’re dealing with too! 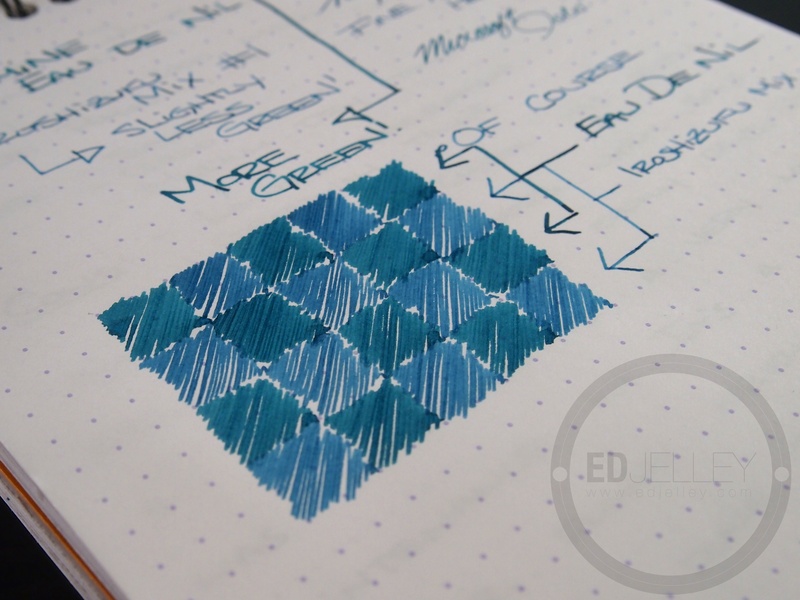 Comparison with Diamine Eau de Nil. It was the closest color I had handy, but the mix has far less green. 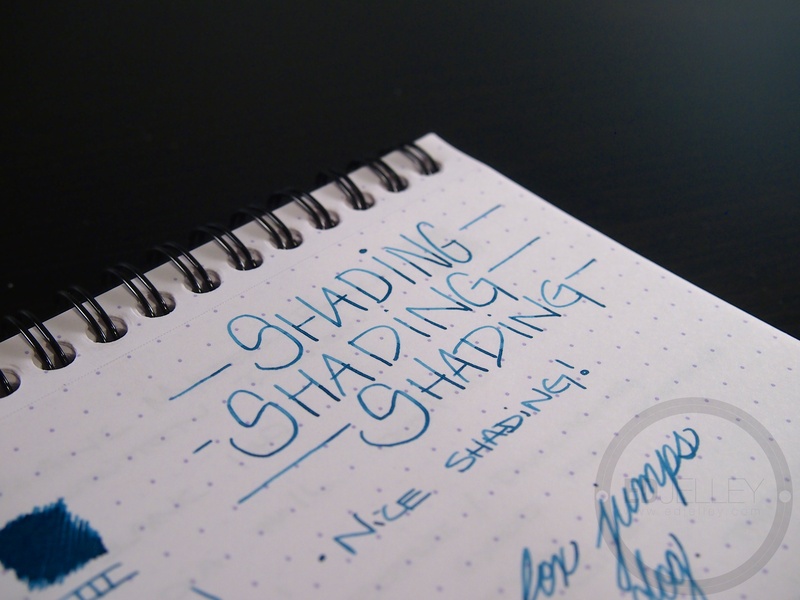 Some really nice shading from this mix. 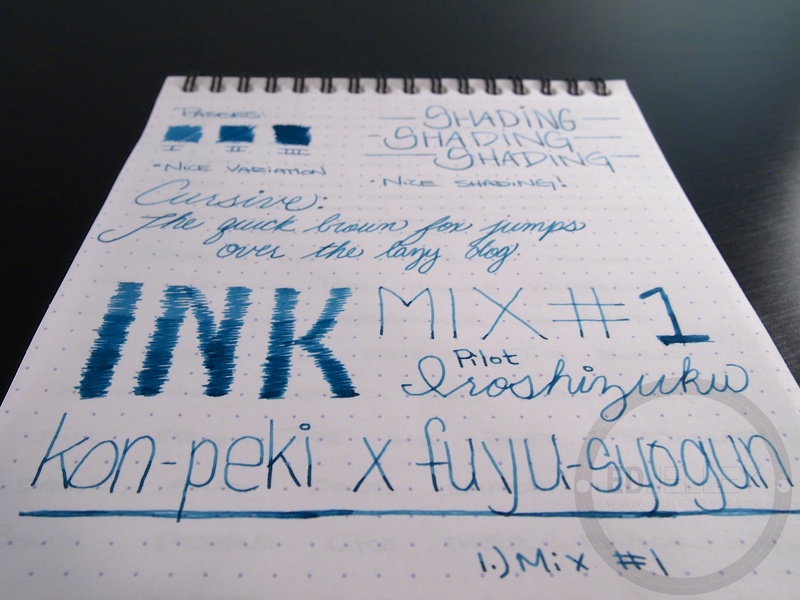 Like the Iroshizuku inks it came from, this mix layered really nicely. 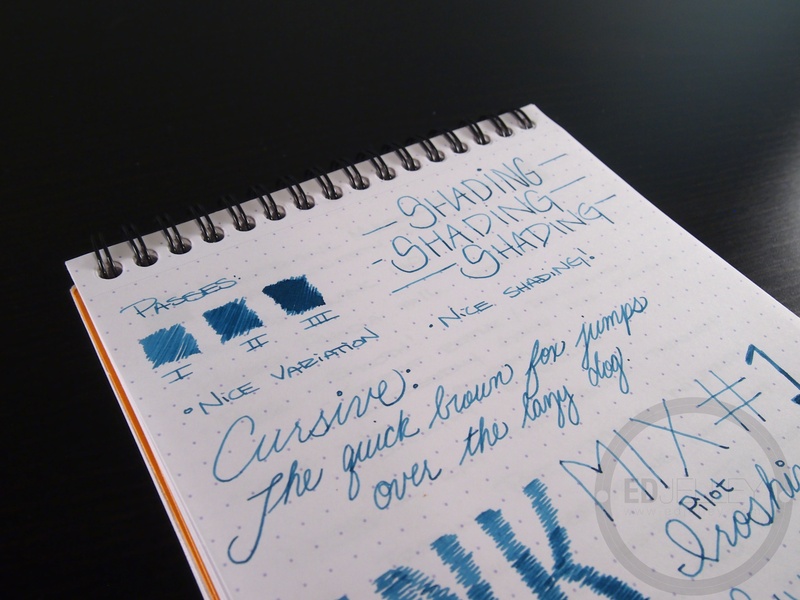 It was easy to achieve a darker color with more passes of the nib. Weekly Loadout Submission – Aleks G.
Interesting, this worked out well! I’ve never mixed inks before… I usually just buy another bottle that is the color I fancy, but I am starting to get curious about this ink mixing business…! I’m a huge fan of buying new things, so that approach usually works out well for me too. 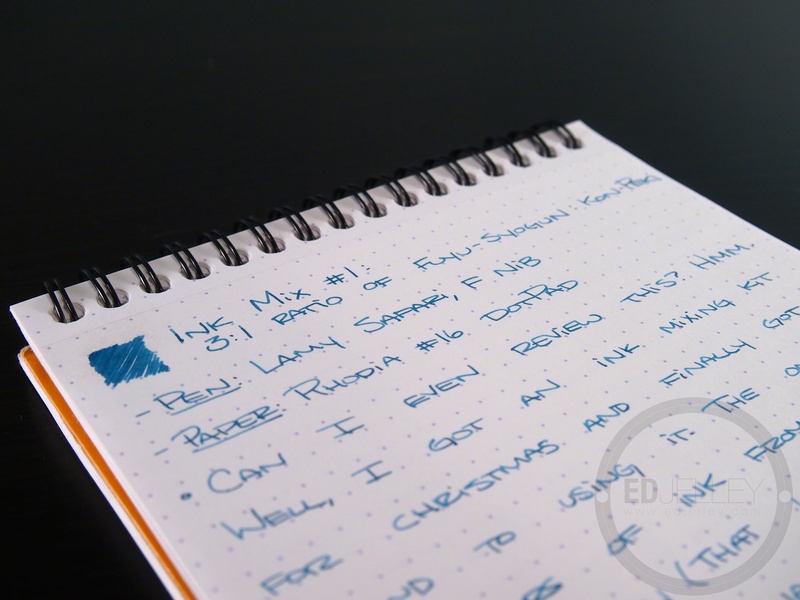 It’s worth a shot though, especially with brands that don’t make a ton of colors (Iroshizuku), where with Diamine, I think I could find any color I need. I see you using the Mystery Black a lot. I’m glad you’re enjoying it. I recently used the Diamine green you sent me and the Peacock and loved how they look, with the green being a clear favorite, even closing in on the Oxblood. I have been! The bottle looks great on my desk too. Once again, thanks for the trade. I’m glad you’re enjoying the inks I sent, they’re some of my favorites as well.